Your “golden years” can only be “golden” if you retire with enough security that you aren’t worrying where your next meal is coming from. Your retirement may also include vacations, relaxing during your free time, or playing a round of golf among other things. That means there isn’t much room for mistakes when it comes to your retirement plan. Today, most Americans aren’t saving enough for their retirement. In addition, many Americans think that saving $100,000 will be enough, but that amount doesn’t go as far as many think. When you factor in longer life expectancy, uncertain markets, and higher costs you can easily eat into your retirement savings a lot faster than you would think. There are 3 critical mistakes most people make when planning for retirement that you should avoid altogether. If you don’t, you risk putting your retirement in a bind. Aside from inflation, and rising costs of groceries and gas, there are other expenses many retirees don’t consider in their retirement planning. Fidelity has estimated the cost of healthcare over a 20-year span for a 65-year-old couple who is retiring NOW to be about $280,000. Remember, this does not include things like nursing homes or long-term care. Healthy retirees may not think their medical expenses will pile up, but they add up much more quickly than most people expect. In a few decades, those expenses could add up even more quickly. You may be fortunate enough to retire with $500,000 in savings, but that amount doesn’t produce as much income as you might expect. Remember, your nest egg has to produce income for up to 30 years. If that’s the case, you’d be wise to follow the 4% rule, which states that if you begin by withdrawing 4% of your nest egg’s value your first year of retirement and then adjust subsequent withdrawals for inflation, your savings should last for 30 years. But 4% of $500,000 is only $20,000 a year in income — not a whole lot. Still more retirees are under the impression that Social Security will be all they need to live modestly in retirement. But it is only meant to supplement about 40% of your retirement income, not replace it. So if someone was used to making $7500 a month, and their Social Security check was only $3000 each month once they began collecting, it could come as a shock to some people. Since Social Security isn’t likely to afford you a comfortable standard of living by itself, it’s not wise to think you’ll pay less or avoid paying taxes altogether in retirement. David Rae over at Forbes revealed some other forms of taxable income, saying many common sources of retirement income are taxable. 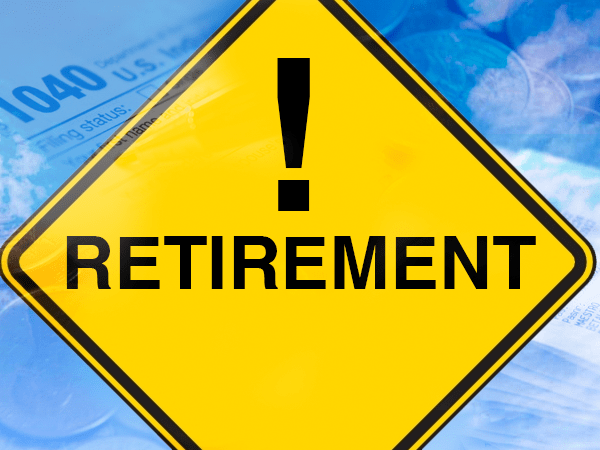 Pensions, IRA withdrawals and 401(k) withdrawals can all be taxed as ordinary income. When it comes to your retirement, you want to be as prepared as possible. That means making decisions that can help you avoid making the retirement mistakes stated above. Consider a retirement account that can benefit you in ways a conventional IRA or 401(k) cannot. Something that can protect and potentially grow your wealth. A Precious Metals IRA can be part of a truly diversified portfolio. Such accounts also can help to preserve your purchasing power and diversify your savings from loss during periods of inflation when the dollar is devalued. A Precious Metals IRA also allows you to buy and store real gold and other precious metals with pretax money. You get the tax benefits of an IRA account and the flexibility of asset diversification in one step. Don’t wait to take the steps towards protecting yourself against market and currency crashes. The best time to consider this is before things get rough for retirees.